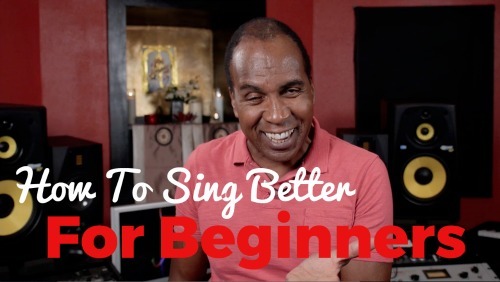 In this video you'll learn how to sing better for beginners. One of the hardest things to do when you first start to sing is hitting your notes in tune. The reason is usually because you're not able to hear your notes and where they are pitched. 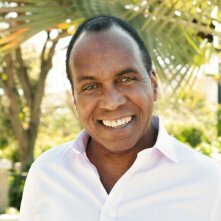 Watch the video above where Roger will demonstrate an easy technique that will allow you to hear your notes with crystal clear clarity. When this happens you'll find you can control your notes much better and will have no problems singing in perfect tune. Singing perfectly in tune is the first step to sounding more professional. It's also one of the harder things for singers to do in the beginning. You've probably seen singers on the X-factor, Idol etc, where they've sung terribly out of tune and been thoroughly embarrassed! Fortunately this can be fixed quite easily. The key to being able to sing in tune is to actually hear when you are in tune and when you aren't. If you aren't hearing your sound clearly enough, you won't realize when you are out of tune. However if you can train yourself to hear your notes perfectly, you'll always be able to adjust to get back on pitch. If you watch the demonstration in the video above, what you need to do is focus your sound into the middle of your forehead. As you're doing this, try and direct your ears to pick up the sound at this point. The more you direct your sound and your hearing to this central part of your forehead, the clearer you will begin to hear your sound. There are two things that will happen as you do this, and both of them will help your singing a lot. First, by focusing your sound into the middle of your forehead like this, it gets your sound out of your throat. This is very helpful for your singing technique as it allows your swallowing muscles to relax and your pure sound to come through more easily. And secondly, as previously mentioned you will become an expert at hearing the note you are singing. This will both help you understand when you are in tune or not, as well as be able to control the note your singing. Singing on pitch is where it all starts. If you are just beginning to sing, you will feel so much better when you are on pitch, as it's the wildly out of tune singing that draws the biggest negative response. From here, you can do many things such as improve your tone quality, increase your vocal range, build flexibility and much more. If you'd like to work on all these things and develop a beautiful sounding voice, you can check out our premium exercise series by clicking here. In this series you get the very same technique taught to big stars such as Macy Gray, Brandy and many more. Before long you won't even be able to recognize your own voice! And finally, be sure to practice the exercise in the video above. and before you know it you'll be sounding much more pro and having much more fun!